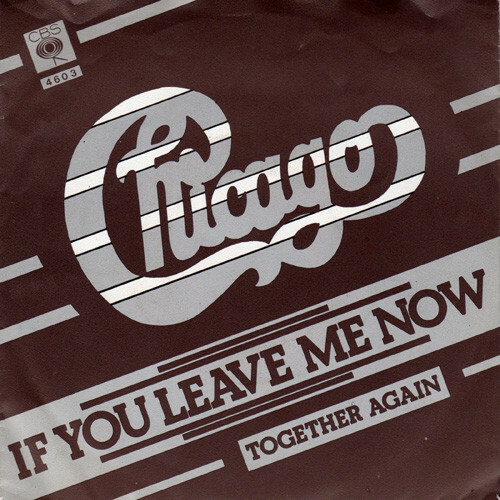 A ballad by Chicago became the band’s first number one hit on Billboard: If You Leave Me Now. The tenth album by the band, Chicago X was created after a break from the previous album. Recorded in the spring of 1976, If You Leave Me Now was the final addition to the song line-up and was almost not included. Written by lead singer Peter Cetera, the song is lament for someone trying to convince someone to stay in a relationship and put the recent past behind them to try again. Listen to it here. Chicago X was released in June 1976 with the first single, Another Rainy Day in New York City, with If You Leave Me Now released as the second single in July 1976. Heading up the charts, the song hit number one in October 1976, staying in the top spots for two weeks. It would be the first number one song for Chicago. The song also hit the top of the Billboard Easy Listening charts. Certified gold and platinum, the song was nominated for Record of the Year at the Grammys in 1977 and won Best Arrangement Accompanying Vocalist(s) and Best Pop Vocal Performance Duo, Group or Chorus at The Grammys in 1977. Featured on the soundtracks of many film and television series, the song was most recently used as part of a fundraiser for the American Cancer Society, and is a mainstay of classic rock stations across North America. A pop culture junkie with a penchant for exploring our planet. This entry was posted in Pop culture and tagged 1970s, 1976, ballad, Billboard Hot 100, Chicago, Chicago X, If You Leave Me Now, love song, Peter Cetera, Pop culture, single, soft rock, song. Bookmark the permalink.